Old Man Winter has finally let go and we are now into Spring – Finally! And what goes well with warm weather? Picnics!!! 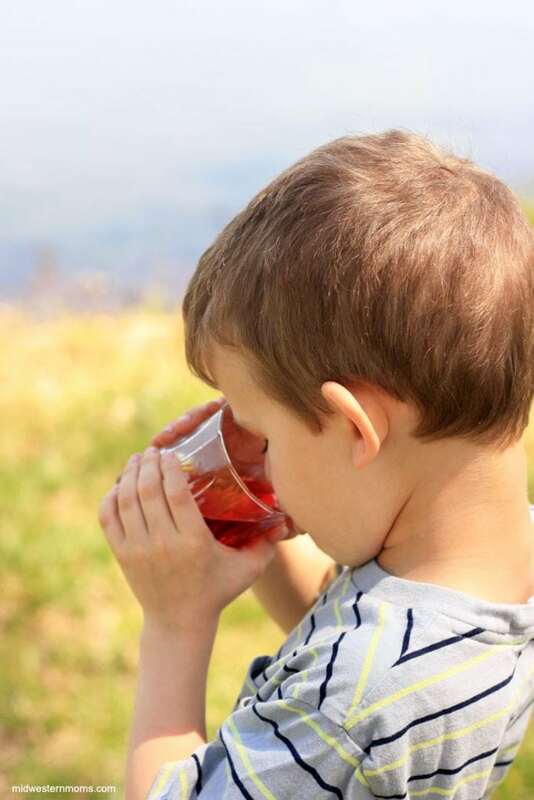 Get your checklist out and get some great tips on how to have the Perfect Family Picnic! This is a sponsored conversation written by me on behalf of Mott’s®. The opinions and text are all mine. You have picked the perfect day for your picnic and it is time to get the planning done. Check the weather. You need to make sure everyone is dressed accordingly. It is best to be comfortable so everyone has a great time. Also, you may want to postpone should it be a rainy day. Pack utensils and plates. You can choose to either use throw away items or reusable items. If you choose to use reusable items, check out garage sales. You may be able to pick up silverware and plates pretty cheap and if something happens to them – no big deal. Pack easy to eat food. The most popular items would be sandwiches and finger food type items. Don’t forget the side dishes! Keep in mind the temperatures. Don’t take anything that may spoil easily. Also, try to pack the right amount of food so you won’t have many leftovers. Don’t forget drinks. You will be outside and most likely being active (or at least the kids will want to run around). Make sure you have plenty of water. 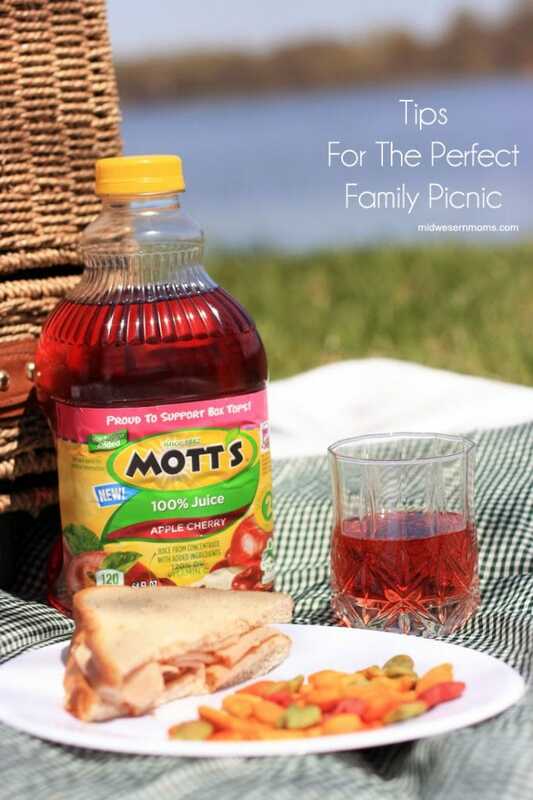 Another great drink to have on hand would be Mott’s® Apple Cherry Juice. It has the perfect summertime taste that kids love (mine do!). You can purchase the juice at Walmart in the juice aisle. Make sure you keep reading to check out the contest where you could win some awesome Mott’s® goodies! Don’t worry if you don’t have a basket! You could use anything to pack your picnic. An example could be a box or a plastic tub that is easy to carry. You do need a cooler of some sort to pack anything that needs to stay cool. Pack some fun outdoor games. Have some fun while you are outside! Scavenger hunts are perfect for the outdoors. It is a great way to be active and to get a healthy amount of sun. Just make sure to use sunscreen! No one wants a sun burn to remember the picnic. Don’t forget the Blanket! If there are no picnic tables at your location, make sure to pack a blanket to eat your meal on. It doesn’t have to be the signature red and white checkered blanket either. Any blanket large enough for your family will be perfect! Pack some plastic bags. Use plastic bags to keep track of things that need thrown away. If there is no place to toss your trash, then everything is contained to take home and toss. The bags would be a great way to keep the dirty items separated from the clean. 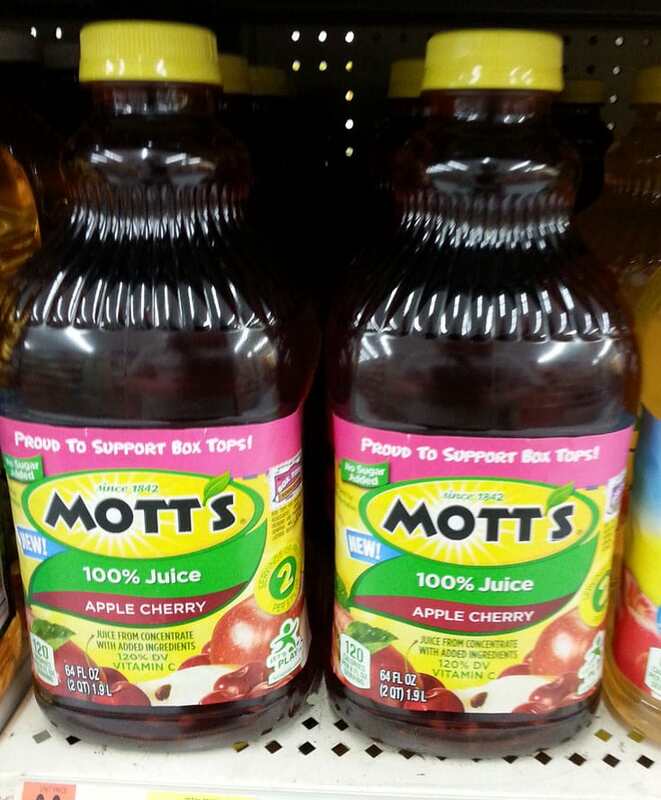 Have you tried Mott’s® new Apple Cherry Juice? What were your thoughts? ?